Opportunity to try our unique formulation. Looking for a natural moisturiser that is also a chemical free moisturiser can be difficult. Chemical free, in terms of the fact our skin oil does not have man-made harmful chemicals. 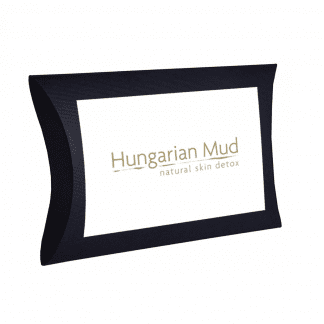 Therefore, it only contains the highest quality of natural chemicals for complete skin nutrition. Also, the Tone and Defence Formula has undergone independent lab tests, which can assure you of its natural ingredients and safety. Every cell of our bodies has a phospholipid bilayer. Thus, for a chemical to penetrate into our cells easily and safely it has to be naturally occurring. The Tone and Defence Formula Skin Oil is 100% natural. It harnesses the power of avocados and pure essential oils. Micronutrients (incl. vitamins, antioxidants and amino acids) for essential skin health are found in this amazing formula that can be used by all types of skin. 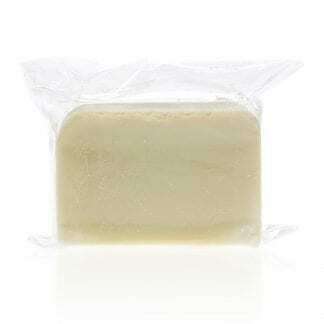 Can be used as a daily moisturiser, protection against the environment, after sun, hair oil, beard oil, skin healer and for skin irritation. Also, our batches are made in small amounts to ensure you receive your product in its best form. People ask all the time for a moisturiser that is natural, the basis of which has to be a high concentration of water. Thus resulting in a concoction of man-made chemicals including those to enhance the shelf life or improve product characteristics. Sales benefits are preferential to skin health improvement. Since our Tone and Defence Formula Skin Oil is so rich, it requires some care and attention when applying. A small amount goes a long way, apply a drop to facial skin immediately after washing. 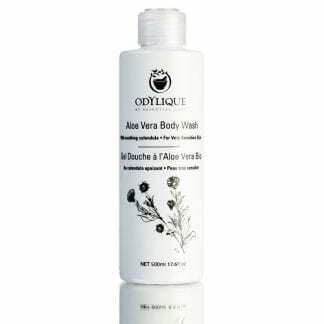 Dry the skin with a towel and then apply, when pores are open for best absorption. Less is more, apply another drop as you require ensuring a non-greasy look. 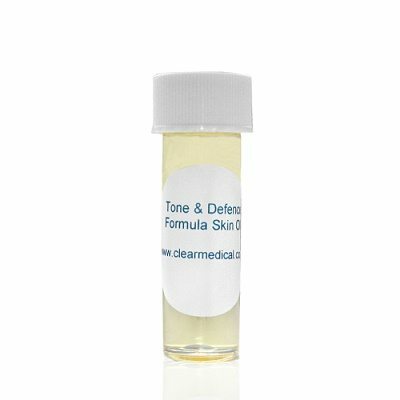 You can now try before you buy or have your Tone and Defence Skin Oil in a handy pocket size (5ml). 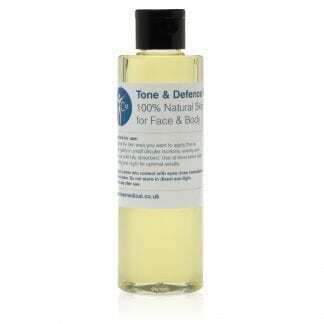 If you’ve tried it and you love it our Tone & Defence Skin Oil is also available in a 30ml and 200ml size. We do not sell you a product that costs less than its packaging. We also aim to reduce negative environmental impacts. You can recycle your bottle in the household plastics after use and we thank you in advance for doing so. 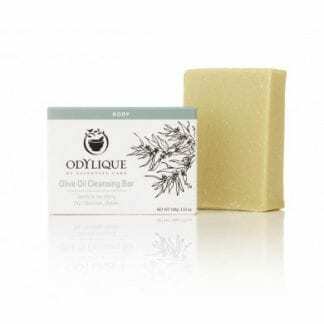 Use on moist skin, in place of moisturiser after washing. Less is more – apply a drop/more as needed, to not leave the skin greasy. Oil should always be applied on damp skin – massage gently until absorbed.